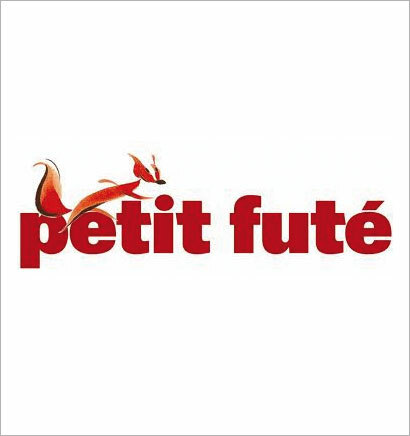 «Paris Visits 2013», the new Petit Futé guide. One of the leading tourist destinations in the world, Paris boasts many advantages: cultural sites known to all, and at least as many places of a lesser known, unusual or downright surprising charm. A city of contrasts, with a thousand faces, which only reveals itself gradually, provided one takes the time to discover nooks and crannies. To help visitors, this guide proposes twenty different walks through the wonders of the most romantic city in the world, as well as a selection of gourmet stops. Not to mention the “glitzy” side with addresses to enjoy Paris by both day and night. And as a bonus, the digital version is offered with the purchase of the guide. 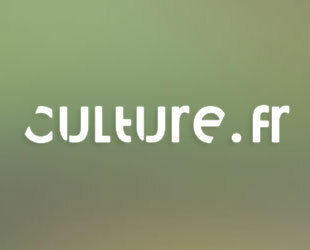 The Ministry of Culture and Communication has launched the new version of culture.fr, a portal dedicated to news and cultural events, as well as the diffusion of digital cultural resources. Established in 2003, the portal is now integrated on a common platform to more than 80 sites and multimedia productions. With better structured, clearer and easier to access information, the ergonomics has been redesigned to give free rein to a more intuitive navigation proposed by categories of offers, around news, a calendar, resources and multimedia productions. 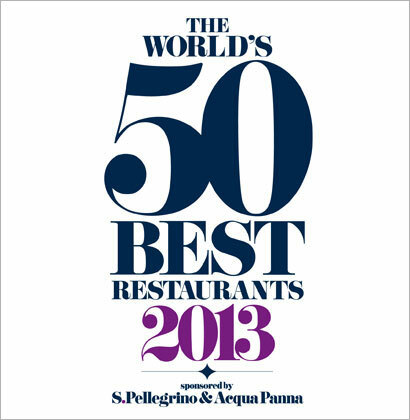 The top 50 restaurants in the world in London. After celebrating its tenth anniversary in 2012, the edition of the 50 best restaurants in the world in 2013 will be marked on April 29th at the famous Guildhall in London with a prestigious ceremony. The event will bring together the most influential restaurants and most famous chefs in the world. On this occasion, the award for the Best Restaurant in the World will be presented, as well as the Best Female Chef in the world, the Lifetime Achievement award and The Chef’s Choice award. And finally, a new class is making its debut, that of the Sustainable Restaurant. It will be awarded to the most responsible restaurant from a social and environmental point of view among the 50 winners. Anantara Xishuangbanna Resort & Spa, the first 5* in Utopia, China. 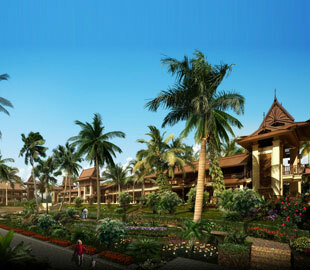 In the province of Yunnan, China, Anantara has recently opened the Xishuangbanna Resort & Spa. 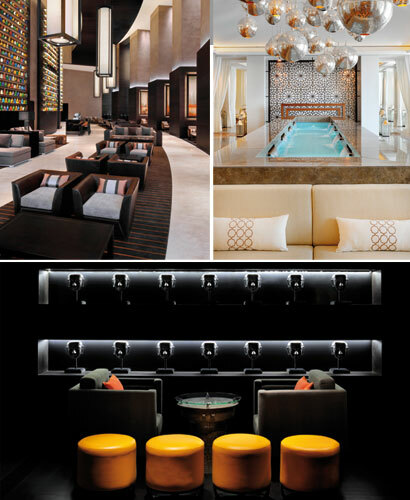 The Utopia station is therefore welcoming its first and only five-star hotel with villas equipped with private pools. Located in the heart of this destination that is scarcely populated with tourists and extremely picturesque, the hotel consists of 84 rooms and 21 villas spread across the beautiful lush gardens which flora and endemic fauna blend together, up to the edge of the water lapping nearby. An opportunity for introspection in the more intimate and preserved side of China. A new business class to Dehli and Toronto. 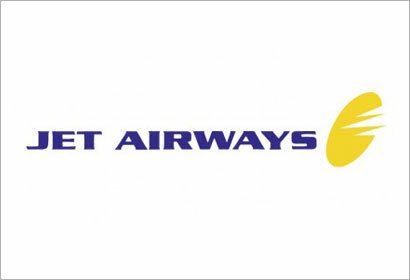 International Indian airline Jet Airways launched its new business class “Première”. To experience the comfortable seats and the quality of service on board, Jet Airways offers connections to Dehli and Toronto from Paris, Lyon, Marseille and Toulouse. For the launch, particulary inexpensive rates are available until the 15th of March for travel until the 30th of November 2013. Charleston lessons at Claridge’s in London. 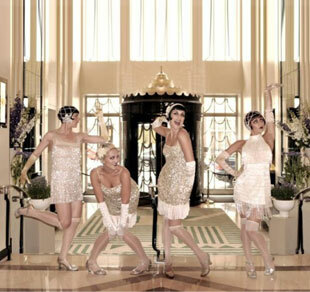 For a bit of history to prepare yourself for the “The Great Gatsby” film, coming out in May, the Claridge’s Hotel in London is offering Charleston lessons. In partnership with London-based group The Bee’s Knees – saucy 1920s dancers – students will learn the basics of Charleston such as the scarecrow, the bee’s knees, the bunny hop, the fish tail and the Josephine Baker. Those who consider themselves real “Gatsby girls” can adorn themselves with accessories, sequined headbands, necklaces and pearls and long satin gloves. The Bee’s Knees will be there to provide fashion tips. After an hour and a half long lesson, participants can cool down with a Flapper cocktail, created at the opening of Claridge’s in 1929. 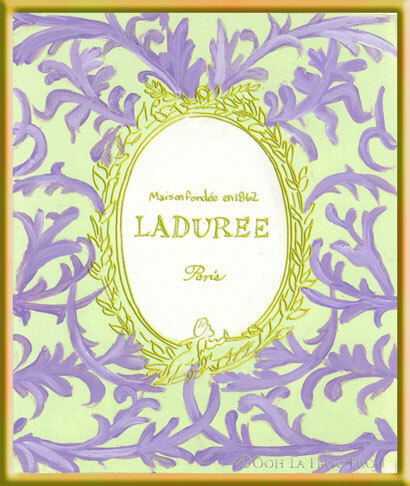 The Aéroport de Paris is starting the year off with relish and has announced the opening of two new Ladurée stores at Paris-Charles de Gaulle: one in the international area of Terminal 1 and another in the L hall of Terminal 2E. Travellers can discover the specialties of the house, but also two limited edition flavours. Until the end of the month, passengers will be able to taste the blood orange and ginger macaroon and the green apple. These two new stores are joining the ten existing outlets at Paris-Charles de Gaulle and Orly Ouest. 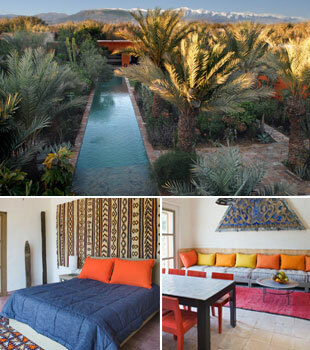 60 km from Agadir, a few hundred meters from the mud ochre red walls of Taroudant, Dar Al Hossoun is an unusual hotel where the habitat and gardens are intrinsically linked. The property, “a playground”, belonging to Arnaud Maurières and Eric Ossart, both landscape architects, was built over the planting of palm trees and the construction of the house. Even though no overall design concept drove the project development over the years, needs and desires, it is nonetheless very consistent. The architecture evokes the neighbouring farms. Minimalist in appearance, the interior facades are white, limed after each rainy season and the exteriors are coated with clay. Two (traditional) Baldis hammams are available to the guests of 8 rooms and 4 suites, all decorated differently. After the success of the Gucci Paris Masters, which attracted some 50,000 spectators in Paris, the international horse show is heading to Asia for a second occurrence of the Masters Indoor Grand Slam. 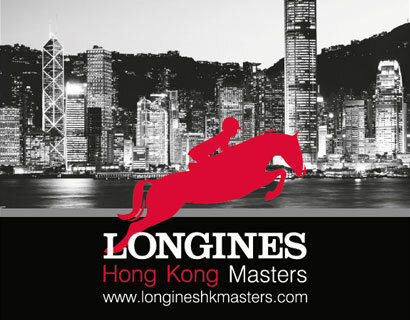 From the 28th of February to the 2nd of March, the event will see the top thirty riders in the world compete in events that combine sport and entertainment, in anticipation for the next event to be held in New York for the Masters in October. A few steps from the Centre Georges Pompidou in the heart of Paris, the Georgette, a brand new boutique hotel, has opened its doors. Giving free rein to the currents of modern art’s most iconic, the rooms are decorated with many nods to the movements of De Stijl, Dada, the new realists, Pop Art, Op’Art, Land Art, Street Art…Virtuoso “how to”, the décor of second degree allusion is based on authentic biases of architecture and design, designed by the architect duo Anne Peyroux and Emmanuèle Thisy. A cosy and intimate address (with only sixteen rooms and three suites) enrolled in a Beaubourg mansion, between Les Halles and the Marais. First Pullman hotel in Vietnam. 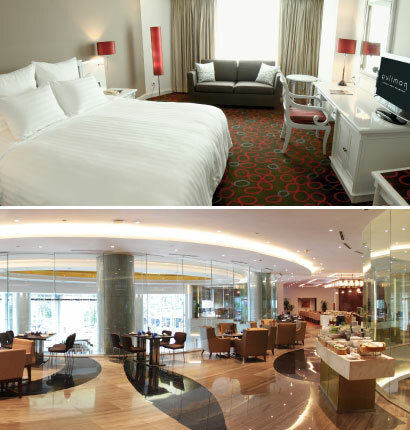 It is in the heart of Hanoi that the newest Pullman hotel has recently been opened. Located on the Red River Delta, the Mekong, Hanoi, the capital of the country, is currently undergoing a transformation, in the image of the whole country. The Pullman Hanoi Horison is just a few minutes from the historic district and close to the Temple of Literature, ministries and embassies. With 242 rooms and suites, the hotel caters to a cosmopolitan clientele that it will offer a new experience of the upscale hotel combining performance and pleasure, a lifestyle where business and relaxation are not mutually exclusive. Dining options include “The Chimney” which offers international and local cuisine and the “Mint” bar provides an area where guests can have a drink in a friendly and fashionable atmosphere. Introduction to Maya cuisine at the Papaya Playa. 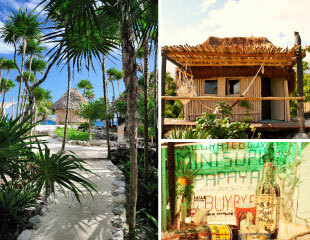 The Papaya Playa is a complex of 80 luxurious cabins scattered across half a mile of pristine beach facing the turquoise waters of the Caribbean Sea, in Mexico. In this holiday haven, chef Mateo Granados is offering, from February 21st to 24th, the opportunity to learn about his signature cuisine that combines the flavours of Sonoma with those of his native Yucatan. True to his philosophy of sustainable development and locavore, you will learn how to prepare some dishes that are emblematic of the Mayan culture, with a dash of French finesse. Experience the César’s at Fouquet’s. 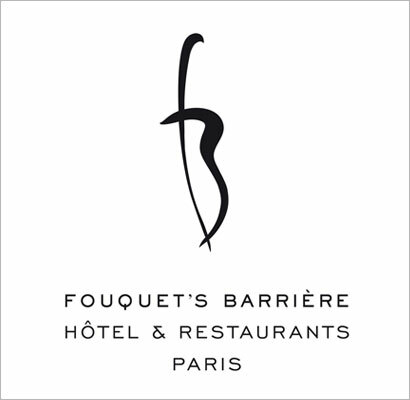 Since its inception, the gala dinner for the high priests and priestesses of the 7th Art has been held at Fouquet’s. For the 38th consecutive year, celebrities and the who’s who of cinema will rendezvous in the famous Parisian restaurant to celebrate the winners of the prestigious Académie des Arts et Techniques du cinéma. To experience this gathering of stars, flash, glitz and glamour, Fouquet’s Barriere is offering you the opportunity to attend the ceremony at the Théâtre du Châtelet and share in the intimacy of stars. A night in the hotel’s signature suite, a gala dinner for two at Fouquet’s, a Harcourt portrait, limousine transfers to Châtelet to attend the ceremony on Feb. 22…this is your chance to be a star for the evening. For three days, the highest snow polo tournament in the world invites you to discover this noble and elegant sport by attending an incredible show at 2700 meters altitude. 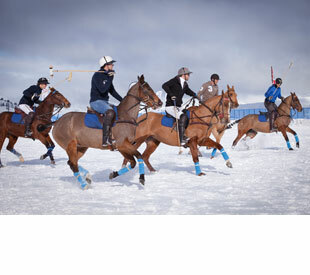 A variation of traditional polo and lawn snow polo is played on a smaller terrain for engaged actions and impressive acceleration. The goal: to score the most goals in two rounds of seven minutes on horses trained to move on snow. The best Argentinian, French and European players are divided into four teams of three players, and will compete on a track specially built on the site of the airfield. With its 355 meters of height, barely 26 meters shorter than the Empire State Building in New York, the highest hotel in the world is a Marriott, the highly anticipated JW Marriott Marquis Dubai. The first tower opened last November with its 804 rooms and suites and three restaurants. In a few days, the second building is set to open. The hotel will thus house in total 1608 rooms and suites, including four royal suites on two floors, nine restaurants and five bars. Located just minutes from the World Trade Centre and close to Dubai International Airport, the JW Marriot Marquis is a monument that marks the neighbourhood’s visual footprint. 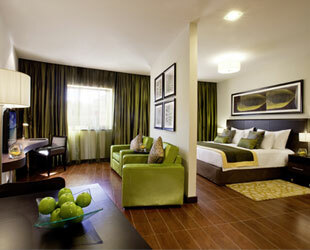 of Mövenpick Hotels Apartments “The Square”. The fifth hotel of the international hotel group Mövenpick Hotels & Resort in Dubai, The Square is the first in the district of Al Mamzar Deira. The 180 rooms and apartments have a kitchen so that they can feel like home while guests also enjoy the comfort and services of a hotel. The main restaurant of the hotel, The Spices, serves exotic Asian cuisine and traditional international dishes. Guests can also enjoy a swimming pool, a snack and cocktail bar, and a hookah smoker on the roof of the restaurant. Acquafeet Ballerinas, to be elegant even when wet. To avoid slipping on the edge of the pool, sauna, steam room and spas, slip a pair of slide Bagllerina Acquafeet in your suitcase. The first foldable neoprene ballet pumps, which feature a non-slip sole for wet locations, they slip easily into their attached storage pouch. An alternative solution that is also elegant, simple and gives a feeling of well-being. Available in many colours, the Acquafeet, like a second skin, is compact, lightweight and comfortable.